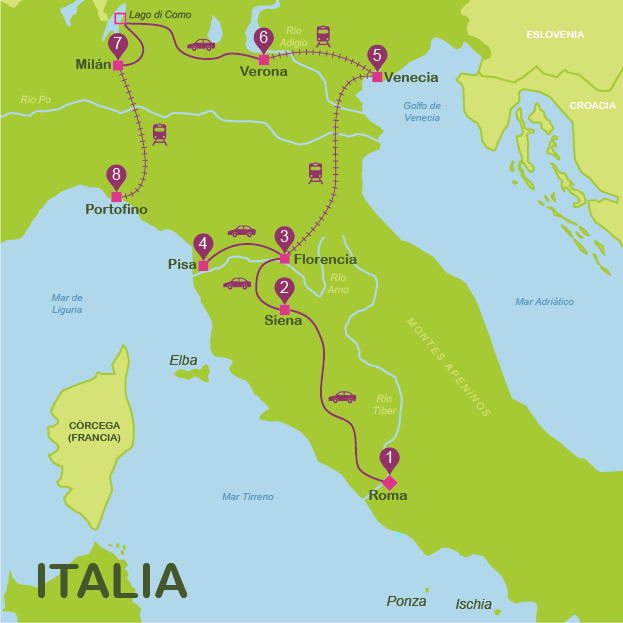 Italy is one of the most wonderful and complete tourist destinations in the world. 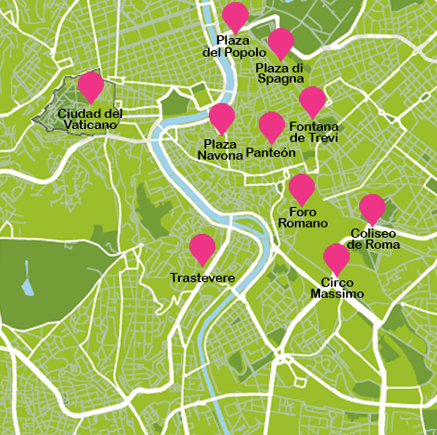 Few countries can offer visitors three such impressive cities as Rome, Venice and Florence. It is not by chance that, together with Spain, it is the country which attracts the most tourists every year. Not only is it the best place on Earth to see historic ruins and high-class art but also to fill up your suitcase with designer clothes! 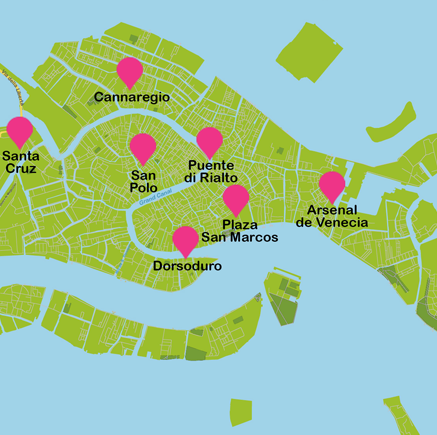 If you add to this the charm of its towns, the delicious cuisine -much more than just pasta and pizza- and the beauty of the scenery, we can be pretty sure that none of you will come back disappointed from your trip. 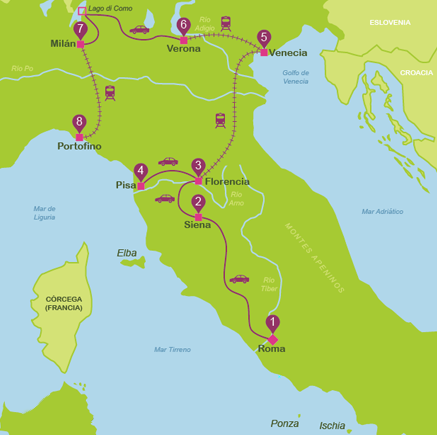 Our recommended Smart Route to discover Italy is the 15 days route. 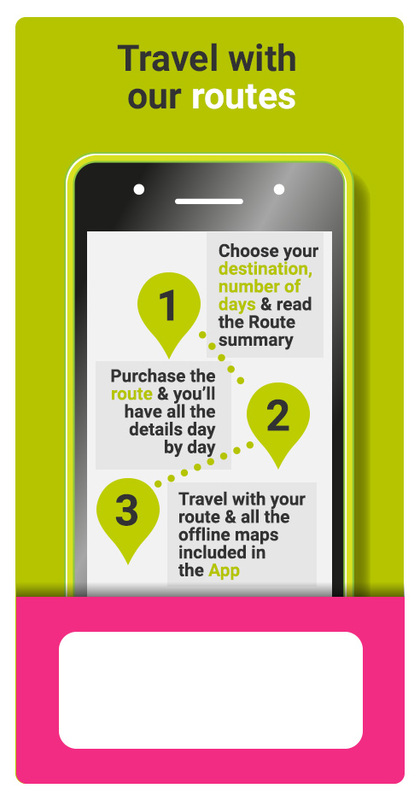 Below you can see the map of the route; if you like it, we invite you to check the summary of the recommended route. 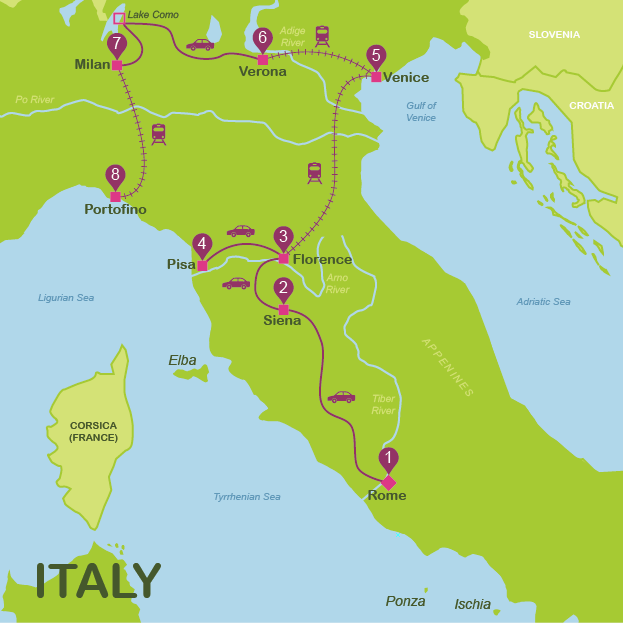 We think you might be interested in these suggested itineraries around Italy.